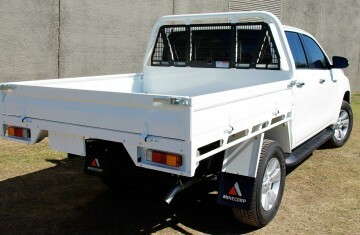 Minecorp’s Level 3 aluminium tray is constructed from heavy duty aluminium with an optional colour coded paint finish. 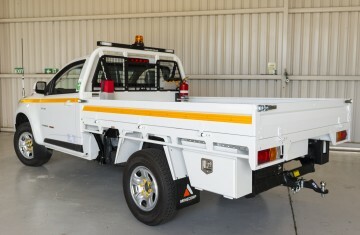 The tray includes a painted headboard hoop, external rope tie rails, laser cut mesh load guard, tail light and wiring guard and polypropylene mudguards as standard. Painted aluminium drop sides complemented with galvanised latches make for quick and effortless access to the tray. 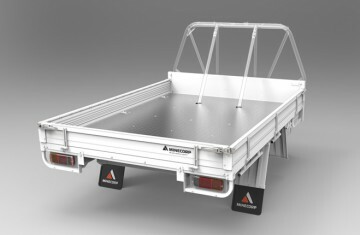 The heavy duty aluminium drops sides also feature an ergonomic working height of 150mm and a CNC machined load rail in built into the internal profile makes loading the tray and securing loads safe and easy. The rated mesh load guard provides additional occupant protection against load intrusion. 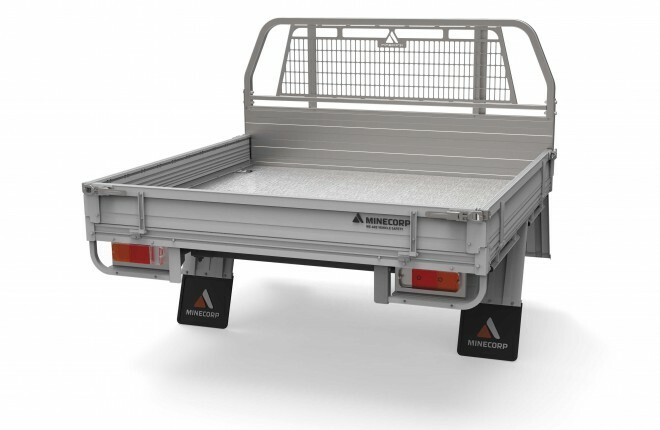 The heavy duty tray body combined with honeycomb section extruded aluminium drop sides are designed by Minecorp for use in harsh environments and are a must have for any work horse looking to maximise payload capacity.